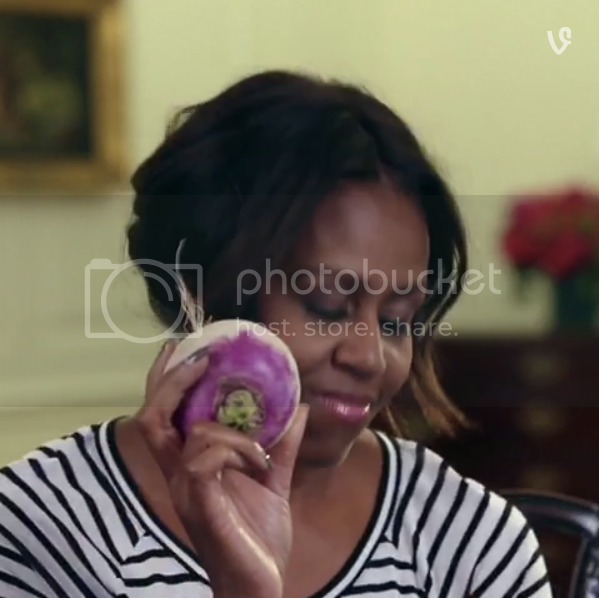 Michelle Obama Asks "Turnip For What?" Home comedy Michelle Obama Vine Michelle Obama Asks "Turnip For What?" The Obama Administration continues their expert use of social media with an Ask the First Lady Q&A session on Vine. When comedian Alphacat, known for his spot on impression of POTUS, asked, “How many calories do you burn every time you ‘turn up'?, her response was priceless.